“For over 25 years, I have been helping people grow their business and expand their life by teaching them to Rethink their work, their relationships and themselves. I show them how to master their craft as well as their lives. For people to become self-motivated they must have a reason. The more they know how what they do helps others and their company, the more initiative they will exert. If you continually learn more about your company, your industry, your customer and yourself, you will always be a leader. You will be purpose-driven rather than process-driven. You will make a difference”. Recognized as one of the world’s best keynote speakers, Jim Cathcart is one of only four speakers in the world who hold the following honors: Toastmasters Golden Gavel Award (2001), President of the National Speakers Association (1988-1989), Speaker Hall of Fame, CPAE (1985), Certified Speaking Professional, CSP (1981), and winner of The Cavett Award (1993). Jim is also a member of the exclusive Speakers Roundtable, twenty of the most popular speakers in the world. He has risen to the top of his profession through 25 years of presentations to a worldwide audience and decades of unselfish service to his profession. He believes in serving his industry as well as his customers. Jim has been a corporate executive, training director, entrepreneur, psychological researcher, meeting planner and association executive. He has managed people, products and payrolls for over twenty five years. He has also researched and field tested his methods through two and a half decades of speaking and training before over 2,000 audiences in virtually every discipline. His client list includes: ASAE, Merck & Co., Motorola, Mass Mutual, Norwest Bank, Becton Dickinson, John Deere, Levi Strauss and the U.S. Treasury. 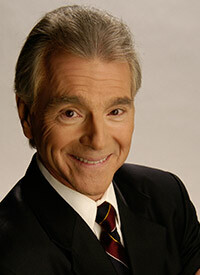 Jim Cathcart’s works are published by the world’s top publishers: St. Martin’s Press, Putnam-Berkeley, Dartnell, Prentice Hall, Nightingale Conant and the University of Southern California. Relationship Selling is now translated into Chinese, Japanese and Finnish. The Acorn Principle, Jim’s 12th book, achieved #2 bestseller status as an e-book for the year 2000. Jim has created over seventy video programs and is as comfortable in front of a camera as he is on stage. This provides many ways to reinforce Jim’s messages. As cofounder of MentorU.com and ProfessionalSpeaker.com, he is leading a new wave of digital learning. In addition to being active online, Jim sometimes follows up his speeches with interactive live video conferences and online forums. Do you want to hire Jim Cathcart? Directly request a quote. In 48 hours we can send you the availability of Jim Cathcart If you would like to book Jim Cathcart, Entertainment Booking Agency is the right place. We will offer you the best price and contact the management or we directly contact Jim Cathcart. For corporate appearances or speaking engagements you can contact our agents and the will help you true the process. Tags: hire Jim Cathcart, Jim Cathcart booking, book Jim Cathcart, Jim Cathcart appearances, find more information on booking Jim Cathcart for appearances, Jim Cathcart speaking engagements, Jim Cathcart endorsements/spokesperson, Jim Cathcart appearance fees, Jim Cathcart booking agency contact info, biography of Jim Cathcart, Contact an artist booking talent agent find a speakers bureau that can book Jim Cathcart, speaker booking agency for Jim Cathcart, Jim Cathcart booking agency, Jim Cathcart booking for corporate event. EBA is one of the biggest entertainment booking agencies in the World. We book hundreds of celebrities, artist, athletes and speakers in a year. Important to know is that we are not claiming to be the management of Jim Cathcart. We are not the official agent for Jim Cathcart. Companies from around the globe book these artists and speakers true our company be course we have one of the biggest networks and we always have direct contact with the artist or the management. We help you to find the right celebrities for your corporate of private events. Please contact one of our agents to get free advice and we will help to get the world-famous artist on your party.